The holiday with caravan is at the door. Everything was planned and prepared carefully? You are on holiday, make a trip, your vehicle is broken up and emptied. Or worse, while you are sleeping, anesthetic gas is directed into the vehicle, and while you wake up in the morning with a headache, you find burglars were in the vehicle. Probably the holiday is over then. 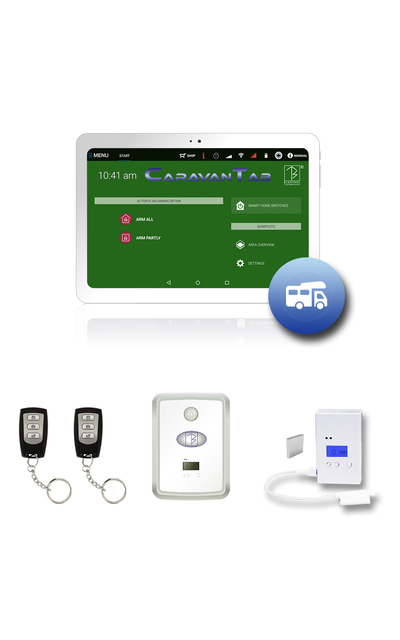 Protect yourself with the new CaravanTab safety systems. Inexpensive, highly effective and easy to use. 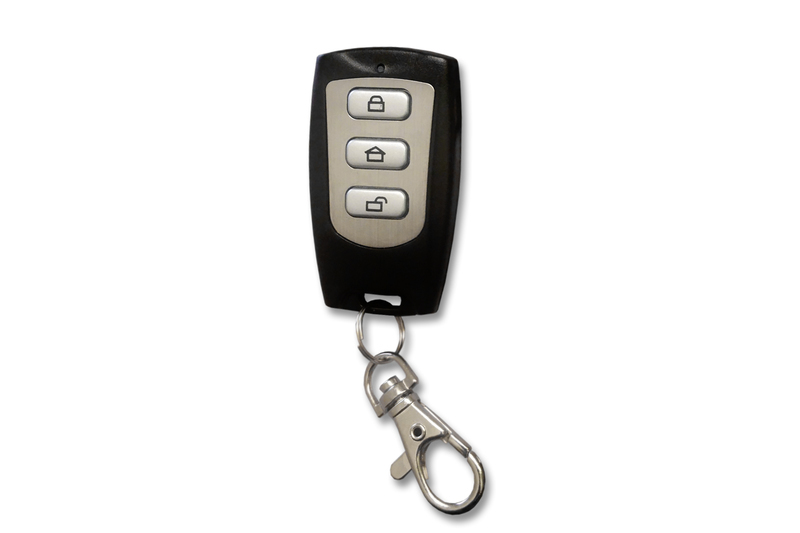 Comprehensive security against all dangers around your caravan. 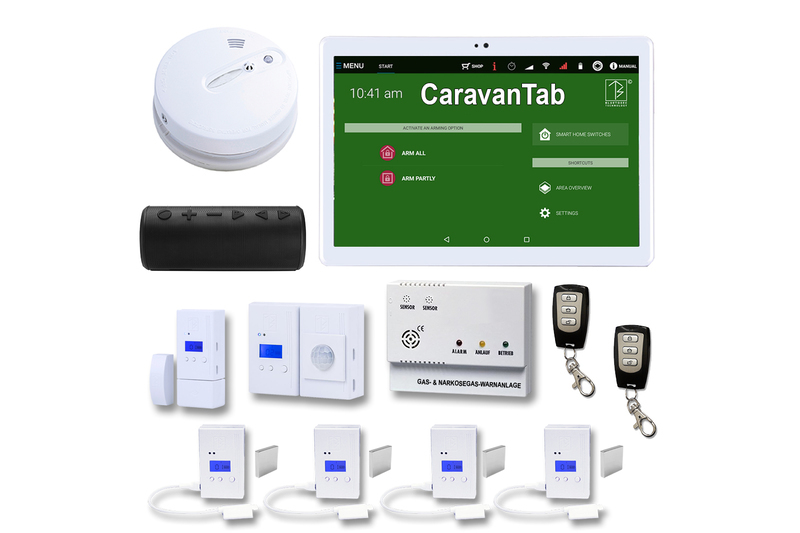 Optionally, you can upgrade CaravanTab with any wireless sensors and sirens, for example, Smoke detectors, window sensors specially for caravan windows, water detectors, bicycle and furniture fuse, temperature sensor and more. In case of alarm you get a call, SMS, e-mail, running exact position of your vehicle, photographs from inside the vehicle, the internal siren or alternatively furious barking from headquarters helps to chase away the perpetrators quickly. If you are at night in the vehicle, you can use the outer skin and arming optional external sensors and move freely in the vehicle. 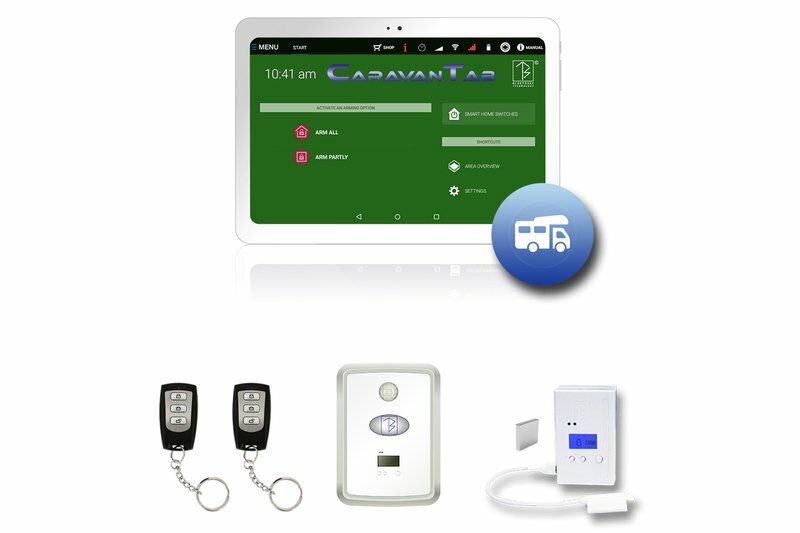 CaravanTab can be controlled from anywhere in the world and controlled by app and PC, enables you to arm and disarm, request photos, disable individual sensors as desired, the current GPS position request etc. For the operation is just an arbitrary (prepaid) SIM Card with some credit for SMS, phone call and traffic required. In addition, CaravanTab has the latest digital radio technology, the encrypted radio signals can neither be intercepted or abused. And if your caravan / camper in safe winter quarters is, then take the CaravanTab Central simple home and get there as AlarmTab burglary security system, or as SmokeTab fire protection system, as SmartHomeTab control center or as MediCallTab for emergency elderly or frail dependents. For more information on these systems look at the descriptions here in the shop. 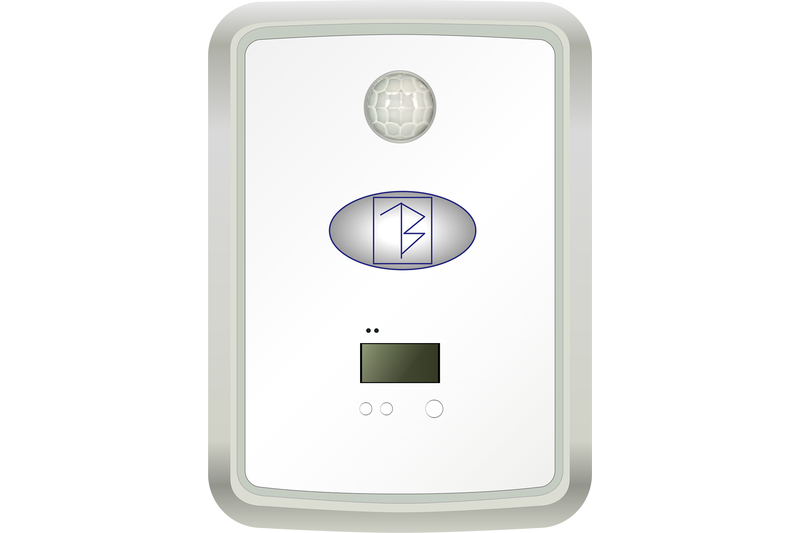 All these systems are already preinstalled on CaravanTab and can be used freely. 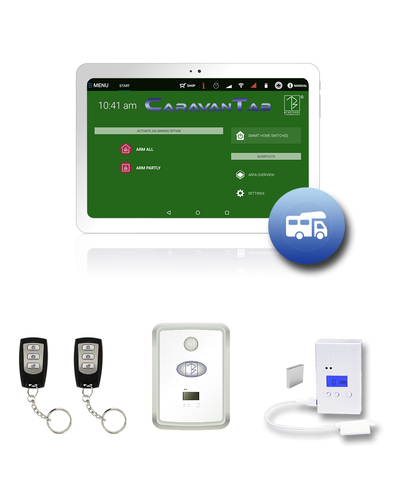 CaravanTab is the newest and most comprehensive security system on the market to protect yourself while you are on vacation, and after.